Growing up in the United States chances are you did your share of watching Saturday morning cartoons while eating breakfast cereal. I grew up eating Cheerios, Grape Nuts, and Rice Krispies while many of my young friends enjoyed Cocoa Pebbles, Lucky Charms and Fruit Loops. The truly fortunate children were served from a variety pack filled with choices that only a child could understand. Was it always this way? History tells us no. 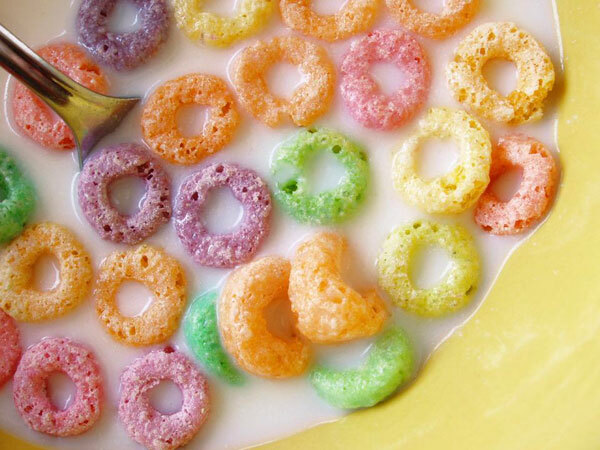 In fact, cereal started out very different than the colorful kid-friendly boxes we buy today. It may be hard to believe, with its endless flavor varieties and sugary additions, but cereal is one of the first widely marketed “health foods.” It was developed as an answer to a growing dyspepsia epidemic in America. During the Civil War, many suffered from this chronic digestion problem that resulted from the unhealthy, high-protein diets of the time. It was clear that eating habits had to change; doctors recognized a need for teaching Americans how to eat and live healthier. Institutions that emphasized exercise and a healthy diet, known as sanitariums, began popping up around the country. Enter Dr. James Caleb Jackson, an active abolitionist, health advocate and founder of the famous Jackson Sanitarium in New York. Jackson was a firm believer in the healing and cleansing properties of water. By mixing water with graham flour and baking it, Jackson developed the first “ready-to-eat” cereal, Granula. The cereal was tasteless and had to be soaked overnight in milk before eating. Though it may not sound very appetizing, Granula struck a chord with some folks, and the Our Home Granula Company was born. Sanitariums like Jackson’s are largely responsible for the early versions of our beloved breakfast cereals. In 1866, a follower of Jackson’s, Ellen White (founder of the Seventh Day Adventist Church), started the Western Health Reform Institute in Battle Creek, Michigan with her husband James. The early years of the Institute were unremarkable, and attendance was low. In 1886, Ellen took a chance on young John Harvey Kellogg when she hired him to help market her sanitarium. White paid for Kellogg to study at New York’s Bellview Hospital, where he began thinking of ways to make ready-to-eat cereals available to the masses. When he returned to Battle Creek, Kellogg took over the struggling Institute and renamed it the Battle Creek Sanitarium. He advocated a vegetarian diet and told patients to “eat what the monkeys eat – simple food and not too much of it.” At the sanitarium, Kellogg taught his unorthodox fitness program to several celebrities, including President Taft, Amelia Earhart and Thomas Edison. Kellogg also created a cereal like Jackson’s and even named it Granula, until a lawsuit forced him to change the name to Granola. 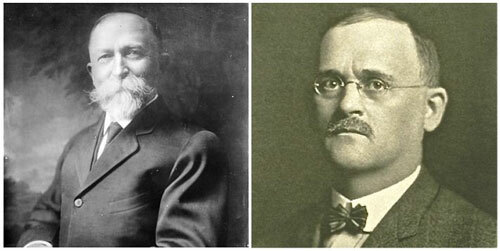 Together with his brother, Will Kellogg, John developed the first commercial cereal flake. Their cereal, Granose Flakes, hit the market in 1896. A rift developed between the two brothers. After 22 years, Will parted ways with John and the sanitarium. He went on to form the Battle Creek Toasted Corn Flake Company, which came to be known as the Kellogg Company in 1925. Battle Creek, Michigan was a hotspot for the growing cereal industry. By 1902, 40 cereal brands, including Post, had emerged in the area. It was also in Battle Creek that Dr. Alexander P. Anderson developed a way of making puffed rice by shooting grains of rice from a cannon. He sold this method to Quaker Oats, who introduced the first puffed rice cereal in 1905. In the early 1900s, the Swiss joined the cereal craze when Dr. Maximilian Bircher-Benner developed a mixture called Muesli for his hospital patients. The cereal mixture featured uncooked rolled oats, dried fruit, and nuts. It was inspired by a dish Bircher-Benner and his wife had been served while hiking through the Swiss Alps. Originally, it was served with orange juice instead of milk. Muesli was introduced to Great Britain as early as 1926, and was widely thought of as a “fringe” health food until it gained popularity in the 1960s. Today, it is one of the most popular breakfast cereals in Europe. As you can see, early cereals were developed and consumed as health food. That all changed in 1939 when the first sweetened cereal, Ranger Joe Popped Wheat Honnies, debuted on grocery store shelves. From that point forward, sweetened cereals grew in popularity, eventually becoming the norm. Radio and television advertisements propelled breakfast cereals into popularity. Product placement in children’s television became the popular marketing choice for cereal companies. Cartoon characters didn’t just appear on the box—producers worked cereal brands into their stories, and characters frequently gorged themselves on sugary cereals in what amounted to 30-minute infomercials. This changed in 1969, when the FCC ruled that characters in children’s shows must not appear in commercial messages during the show itself. By then, it was too late… children had become the target audience of choice for cereal brands. Advertising practices changed, but the goal was the same, and kids were completely hooked on cereal. The rest is Saturday morning cartoon history. It’s no wonder that cereal has firmly rooted itself in American food culture; a bowl of cereal is a treat. One of the most beloved parts of the cereal experience is the ice-cold milk that is left behind once the cereal is gone. This milk, flavored by sweetened cereal, has its own unique taste. The flavor is so special and recognizable that Christina Tosi, chef and owner of Momofuku Milk Bar in New York City, has developed a cereal milk soft serve as one of her most popular signature dishes. Everybody seems to have a favorite cereal. No matter which variety you enjoy, it holds a special place in our collective American experience. Cereal has captivated us for more than a century, and this quintessentially American food doesn’t seem to be going anywhere anytime soon.